Best Foreign Film on Rotten Tomates! 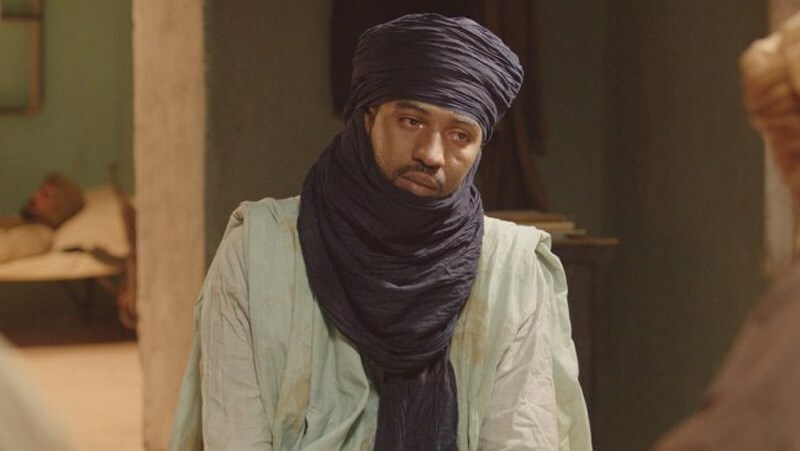 Timbuktu won the "Golden Tomato" as the Rotten Tomatoes best-reviewed foreign film of 2015! 2015 Academy Award Nominee for Best Foreign Language Film! Not far from Timbuktu, now ruled by the religious fundamentalists, Kidane lives peacefully in the dunes with his wife Satima, his daughter Toya, and Issan, their twelve-year-old shepherd. In town, the people suffer, powerless, from the regime of terror imposed by the Jihadists determined to control their faith. Music, laughter, cigarettes, even soccer have been banned. The women have become shadows but resist with dignity. Every day, the new improvised courts issue tragic and absurd sentences. Kidane and his family are being spared the chaos that prevails in Timbuktu. But their destiny changes when Kidane accidentally kills Amadou, the fisherman who slaughtered “GPS,” his beloved cow. He now has to face the new laws of the foreign occupants. 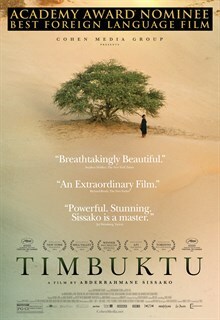 Timbuktu is Mauritania's first entry for the Best Foreign Language Film Academy Award.